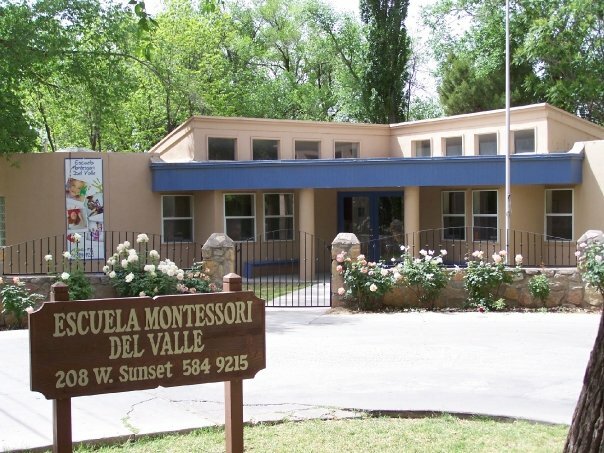 Escuela Montessori Del Valle is located on 1-½ acres of land in El Paso's lush Upper Valley. The buildings and playgrounds sit amidst pecan, apple, pear and plum trees. In addition, the barnyard is home to various farm animals. The proximity to neighboring pastures enhances the country atmosphere. During the spring and summer, children help tend vegetable and flower gardens scattered about the school grounds. At Escuela Montessori, we believe that an exciting and stimulating outdoor environment is equally as important as that inside the classroom. Download an Information Package: Click Here!